Toscano represents the South Valley’s (Sandy, Draper, South Jordan, Bluffdale's) pre-eminent dining environment with its inviting, sleek exterior highlighted with its floor–to-ceiling window walls permitting vast natural lighting and vistas of the Oquirrh sunsets. It's 20’ live trees provide a year round summer environment regardless of the calendar. Toscano’s Garden is a multi-purpose area that serves as a protected outdoor dining area with a closeable roof, fountains, music, plants and full herb garden used for daily harvest for the kitchen. The Garden's versatile roof can accommodate outdoor dining in any season. Toscano Restaurant is conveniently located in Draper, Utah at the 11400 South off ramp of I-15 near: The South Town Expo Center, Hale Centre Theatre, Living Planet Aquarium, Scheels, South Towne Mall, Sandy Auto Mall, Sandy Amphitheater, Draper Amphitheater and Cawabunga Bay Water Park. 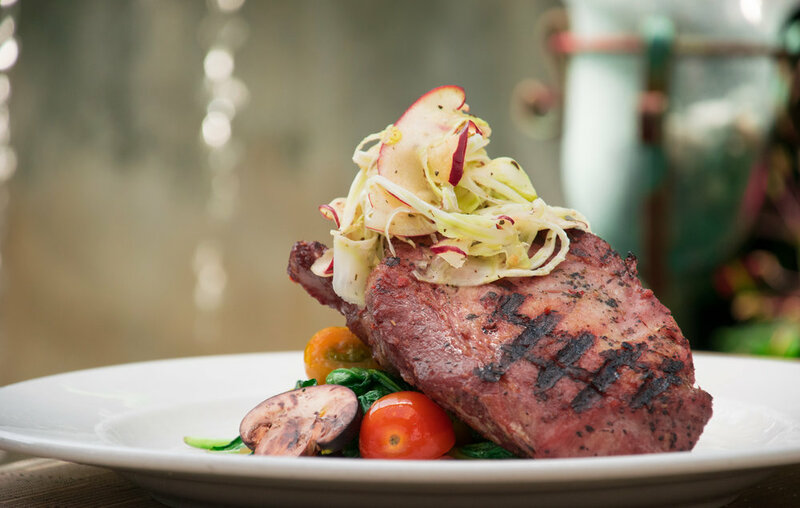 Toscano's menu offers a wide range of highest quality steaks, chops and seafood emphasizing locally sourced ingredients while retaining some of the original location’s favorites such as its signature Naples-style pizzas and its house made gelatos. The lunch menu is designed for both the business meeting luncheon, the casual dining needs and the housewife get togethers and dinner provides weekly specials. Toscano can accommodate private parties and events within portions of the restaurant or the entire restaurant for your company party, rehearsal dinner or business event. Toscano offers those wishing adult beverages, full wine, beer and liquor service.